Fumarole (solfatara, fire-well) is a hole or vent from which fumes and vapors are emitted from the earth. They are usually found in volcanic areas. 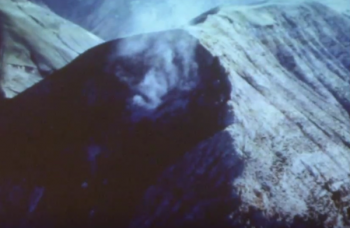 Fumaroles have been active in the recent past on Santa Cruz Island in the vicinity of China Harbor. Smoke emitted from these surface vents has been reported many times to Coast Guard officials as a beginning fire. » Ford, Henry Chapman Solfataras in the Vicinity of Santa Barbara in Bulletin of the Santa Barbara Society of Natural History 1:2, 53-56, 1890. This page was last edited on 22 May 2016, at 07:21.